Mark your Calendar and Register Early! 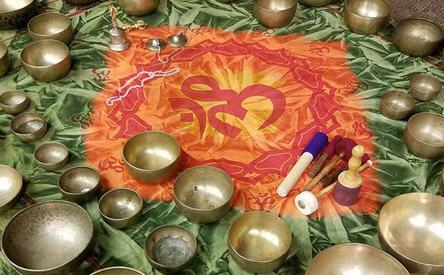 If you are looking for a place for spiritual development and fellowship, a place to relax and experience a week full of lectures, workshops, music, drumming, auctions, healing experiences and more, then this is the place for you! 17 fabulous presenters for our 2019 retreat. Our featured lectures and events for TGLR 2019 retreat. View our current and previous retreat brochures. 4 - Weeklong Workshops to choose from. Mail in or online registration for 2019 Now Open. 20 - Single Session workshops to choose from. Our 2019 Retreat Promises to be Fantastic! We are very excited about this year’s program, and hope you will be able to join us. The Great Lakes Retreat has been meeting every summer at Olivet College, for over 30 years. Each year our goal is to offer a high quality, week-long program for a reasonable price. For ways to save check out our Incentive Program. Hope to see you there. We are a Closed group, but we will be happy to add you. Register Early! Register online or print a registration application. Join us in Olivet, MI. Make sure you know where to find us!